Today it is difficult for any business to grow without social media presence. Social media is very effective in customer servicing also. Customers who experience quick and effective response via social media are likely to recommend the brand to others. Good exposure in social media helps to reduce service cost and improve customer engagement and helps business to reach out to more potential customers. 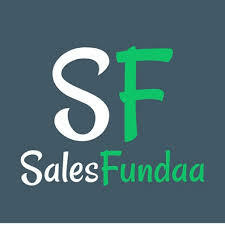 Salesfundaa CRM software can be integrated with social media that can help business to run and track social media campaign, measure its effectiveness, increase sales, resolve customer queries and many more. Acquiring a new customer is dearer than retaining an existing customer. Existing customers are more likely to buy products from you than a new customer. Moreover, they spread positive words about your brand. Satisfied customers help to generate more leads and increase sales. Salesfundaa CRM software helps an organization to increase customer satisfaction and loyalty. Customers’ queries should be resolved ASAP. Very first step is to set proper escalation matrix. That means to resolve queries as per priorities like high and low. It helps to respond to customers’ queries on time, increase sales, run campaigns within budget. Salesfundaa CRM software is the best place where you can prioritise your query and integrate with customer details. Another importance of Salesfundaa CRM software, it is not only for customer management but also employee management. The automated task management process in Salesfundaa CRM software enables to assign and complete tasks within time and budget. It can create and assign tasks among employees based on their skill set, availability, geography etc. Business can set their own rules in the Salesfundaa CRM software to manage tasks efficiently. Not only that, Salesfundaa CRM software maintains employee hierarchy and control data visibility also. The Salesfundaa CRM software can automate customer communications. It is a very important feature when you need to nurture your relations with existing customers. It allows you to send a welcome kit to customers once they join with your business. Or an email when their queries are resolved. Or a wish on a birthday. Even a letter when a new product is launched. The software allows you to specify your own rules to automate customer communications. This not only ensures reduced human errors but boost the customer relationship which has been a proven promising factor for retention. Communication Channels play a very important role in every dept – sales, marketing or service. You must capture preferred communication channels of your customers. By automating the process in Salesfundaa CRM software you can reach your customers with their preferred channels only. This will definitely increase lead to customer conversion ratio, sales and profit as well as customer loyalty. Salesfundaa CRM software has a unified process for various departments (like Sales, Marketing, Service, Management) of an organization. The purpose of collaboration is to enhance the quality of service and customer satisfaction. Effective team collaboration brings more leads and increases sales. For example, Data from one unit can help another department to run more effective campaigns or source a sales department to up-sell or cross sell products. Data protection is the highest priority in any business. In Salesfundaa CRM software, users can see customer data according to their roles and responsibilities. It helps business to safeguard important customer information from data abuse. A Salesfundaa CRM software enables you to analyze data, generate reports and measure campaign effectiveness. Even it can tell when a customer tends to leave your business. Traceability and transparency are two promising features of the software. It is an ideal software and an answer to all your queries like ……. Was your last marketing campaign effective enough? Which channels gave you maximum sale in last campaign? How your company performed during last 5 years? Are your customers satisfied to do business with you? It helps better decision making based on historical data analysis. Business process automation in Salesfundaa CRM software is a saviour of time, manual activities and other resources. It has destroyed the myth that the CRM is a costly software and a privilege for only big companies. In fact its easy to use interface and the most cost effective way to run business has established a niche in every SME and has become an indispensable tool for enterprise of varied nature and size. The Salesfundaa CRM software comes with compatible Mobile CRM that enables business not to lose a single selling opportunity, even when you are not in office. It helps employees to access customer data even when they are on the go via smart phones or tablets at any time. Call on 9235 35 35 35 to get a free demo of your Salesfundaa CRM software Today.